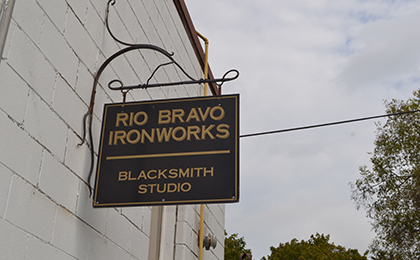 At Rio Bravo Ironworks, artist/blacksmith, David Cross focuses his creative energies to develop attractive, functional and decorative metal works. Traditional blacksmith techniques meet inspired designs creating functional and beautiful art for the home, garden and beyond. From furniture, to accessories, period hardware and wall art, to ornamental garden décor, gates and the trellis for your garden to grow. Meet the artist, browse the creations and consider potential of custom-design projects.